See Seattle Tall Poppy's review of this cookbook and her take on Ricotta pound cake (with sample recipe). See Lisa Is Cooking's take on Ricotta pound cake from this book. This was not a success. Despite the headnote description, it was not "oh-so-soft and tender". It was dense and crumbly. like a failed shortbread. 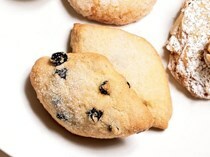 The proportions of flour (1.5 cups of cake flour and 0.5 cups of semolina) and 1 cup ground almonds to two eggs and 4 oz. of butter were way off for making a cake like texture. The quarter teaspoon of nutmeg called for was too much and the flavor didn't jibe well with the basic ingredients. Thanks to EYB, I found a recipe for parrozzo in Ada Boni's Italian Regional Cooking. She uses five eggs and less than half the flour. 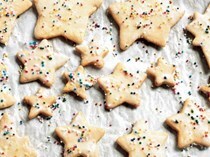 Very good, very rich cookies. Like Nutella with a college degree. What a delicious cake! Very tender and perfumed with the spices. Love this book! Have made the baci di cioccolato twice and both times turned out fabulous. They keep best in the refrigerator. Nice flavor and chewy texture from the polenta, but would cut down on the sugar next time. Did not wait for the dough to chill, just pressed it into the tart pan which worked perfectly as well. Can't believe I've never reviewed this recipe. I've made it often, and recommended it to others who have made it often. It's the best ever topping for Thanksgiving apple pie. A delicious, moist cake with just the right balance of spices and walnuts. And I used up two zucchinis of ten from my garden! One full cup of olive oil seems like a lot but I resisted the urge to cut back and it was perfect and not oily at all. I did reduce the sugar in the cake to 1.5 cups. We loved the lemon glaze too. Will be making this one again! 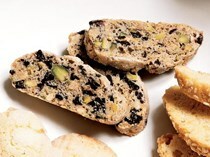 The cake is very tasty, with great texture, but I think that a handful extra of raisins would make it even better. With a foreword by Mario Batali. Follow the seasons. Keep the flavors pure and straightforward. Use proper yet simple techniques. Applying this aesthetic to the Italian tradition, Gina DePalma has created a cookbook of the desserts that have wowed diners at Babbo, New York's most coveted reservation since it opened eight years ago with DePalma as pastry chef. 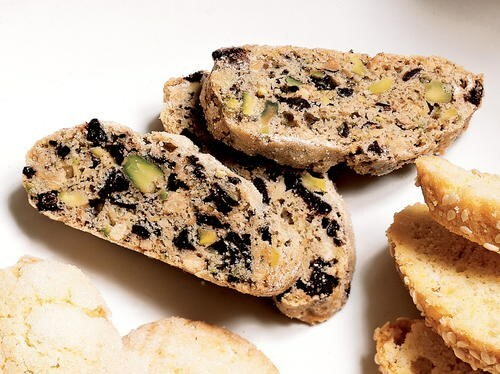 From her exciting imagination spring desserts such as Sesame and White Corn Biscotti, Little Grappa Soaked Spongecakes, and Chocolate and Tangerine Semifreddo. Recipes for classics like Cassata alla Siciliana join new interpretations of traditional desserts such as White Peach and Prosecco Gelatina. 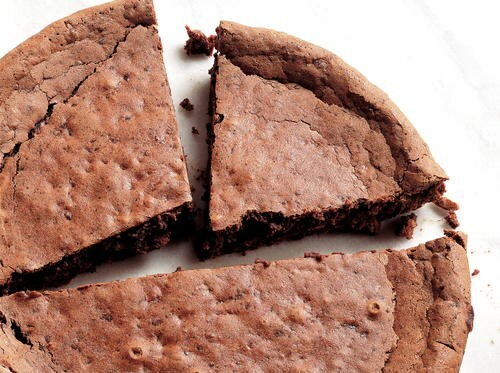 More than just a cookbook, Dolce Italiano reveals the ten ingredients you need to know to make Italian desserts, along with wine pairings to accompany the recipes. 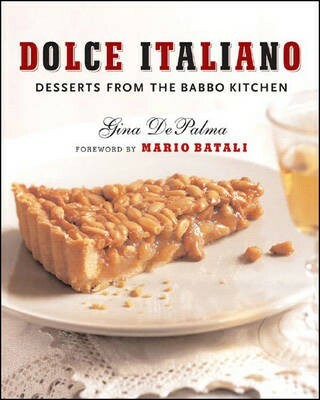 Never before has a cookbook given home cooks a chance to experience the full variety and subtlety of Italian Desserts. Mario Batali has called Dolce Italiano pure inspiration.